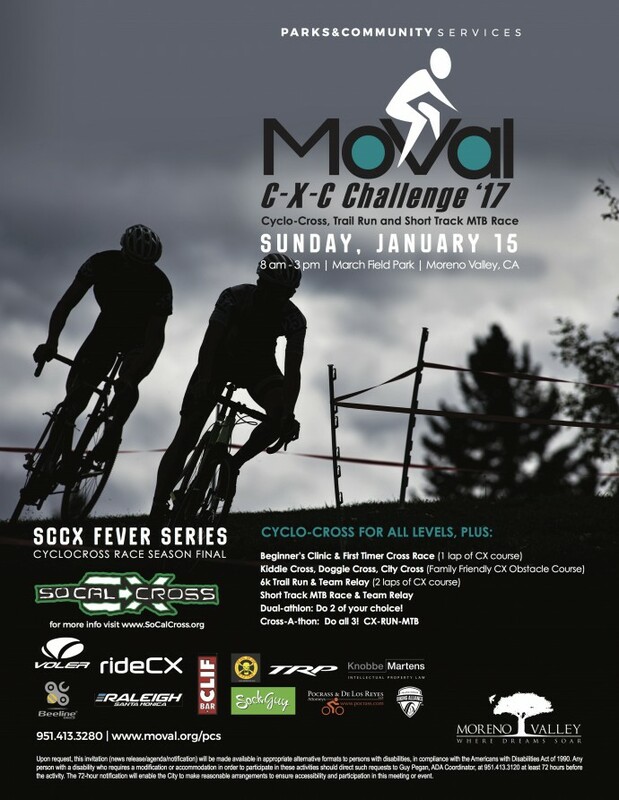 Moreno Valley, CA-The City of Moreno Valley will host its first CycloCross race as Southern California CycloCross closes out its season with a final race on a 1.8 mile custom built course on March Air Reserve Base January 15. 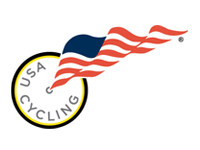 CycloCross combines road racing and mountain biking while challenging riders with a course featuring everything from grass and sand to gravel and dirt mounds. 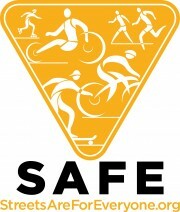 Riders must also negotiate a number of obstacles that may force them to dismount, shoulder their bikes while they negotiate the obstruction and then remount their bikes to continuing riding. 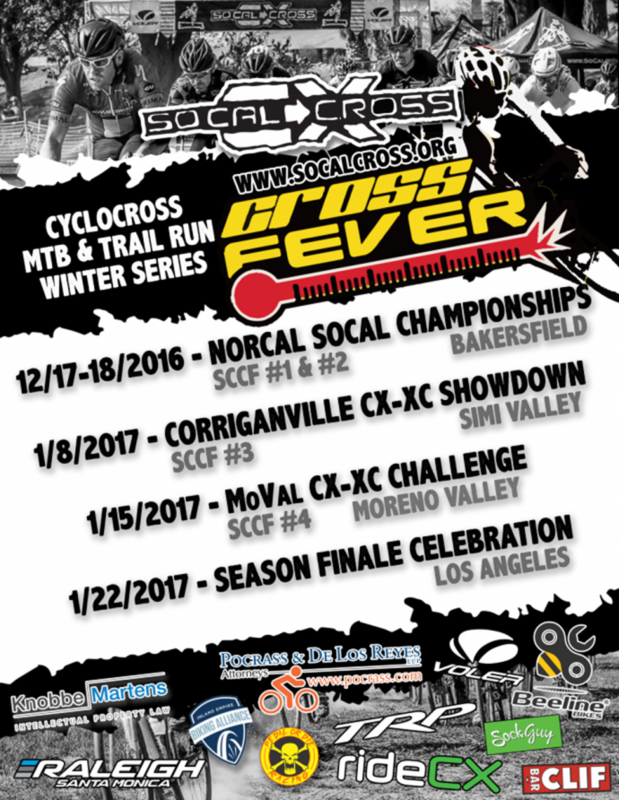 The MoVal CycloCross is the final race in CycloCross Fever Series. 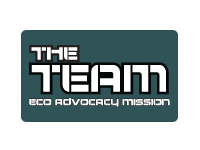 The race will take place at March Field Park with riders navigating a course that includes the baseball fields, Valley Skate Park and the field area around the community center. Race day will also include a Kiddie Cross Skills Course, Community Cross (Obstacle Course), Doggie Cross, Cross-A-Thon and a short track mountain bike race and team relay. The City of Moreno Valley received a $2,500 BEYOND Initiative grant from the Western Riverside Council of Governments (WRCOG) for this event. Gates open at 7:00 a.m. Come cheer on these athletes as they go head to head for the first time in Moreno Valley.